HomeCinemaMasalaFarhan Akhtar’s charm on Indie bands! Farhan Akhtar’s charm on Indie bands! Farhan Akhtar who is busy promoting his upcoming movie Rock On!! 2 by Ritesh Sidhwani is gaining tremendous response. The actor who is going live concerts in various cities across the country with his Rock On 2 band has been approached by many Indian bands as a guest performer. After performing for almost 3 years for Farhan Live and now surprising every city with live concerts for ROCK On 2, news is Farhan has been inundated worth several request from across college and various band to come and be the guest of honor and judge other bands that perform at these competitions. Farhan was last seen performing Live in Aurangabad along with Shraddha Kapoor and the star cast of Rock On!! 2 and had nailed it then. The actor is receiving lot of mails and calls lately. Since it is a Rock band several bands across the country are approaching Farhan to perform with them and be the guest of honor. The electrifying performances by Farhan Akhtar and his team have caught eyes of the Indie bands so lucratively that everyone is wanting a piece of him. The journey of Farhan’s live concerts have always encountered enormous retaliation and fans go crazy for him. Such kind of response from the audiences have made Farhan overwhelmed. The actor, who has charmed everyone with his versatility is now been approached for live performances. 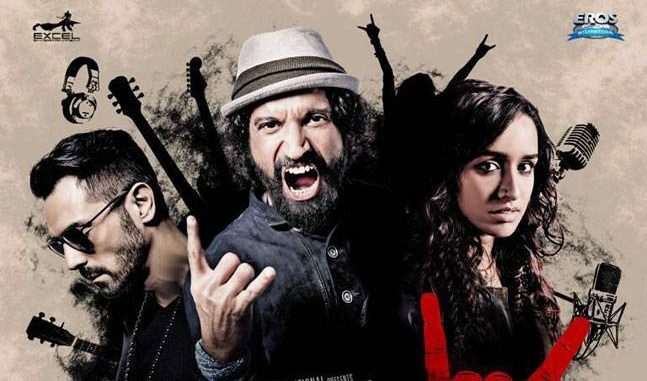 Rock On 2, the upcoming musical hit features Farhan Akhtar, Shraddha Kapoor, Arjun Rampal, Purab Kohli, Shashank Arora, Prachi Desai, and Shahana Goswami.